“Are you ready for some romantic Italian music?” guitarist Antonio Gramentieri calls out to the audience. 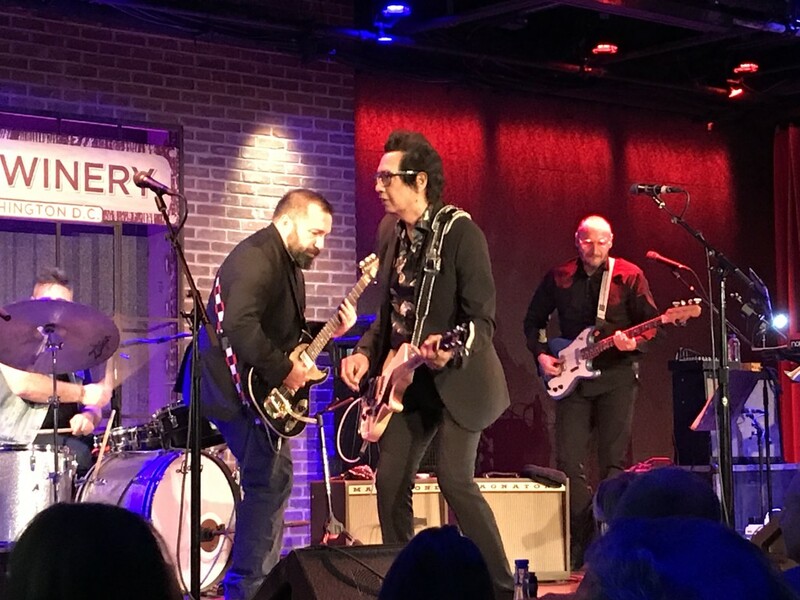 The crowd at City Winery was actually there for the more Tex-Mex flavored ballads and rockers from longtime songwriter Alejandro Escovedo, who has toured with all kinds of configurations over the years, from bands to duos to solo. But wanting to hire a band to back him on a European tour two years ago, he ran into an outfit from a small town near the Italian alps, Don Antonio. Not only did they manage to bring a full sound to back Escovedo’s songs, they helped inspire his new album The Crossing. Where once it might have been the story of a Mexican-born kid hitchhiking his way from Mexico to an L.A. amid the punk boom, now it’sabout a trip by Diego and Salvo, who meet while working at Salvo’s uncle’s Italian restaurant in Galveston. The two share a love of punk rock, beat writers, and filmmakers like Antonioni. And they go off to L.A., “looking for an America they both believe exists,” Escovedo explains. So while it’s not exactly about immigration, he goes on, and more about two kids going after something better, there a number of insights about the issue, as he notes Southern Italy has its own immigration from the African countries south of it. Escovedo by now has accomplished a lot, produced a lot of great music and even beaten cancer (he shows a PSA to raise the issue); concept albums come to him now fully formed. And as a performer who has enjoyed collaboration with other, the international alliance suits him well. Also, it gives a European band a new life in the states. Don Antonio, a sextet that depends on a dual sound of sweet saxes, opened the show with their instrumental music, approaching light jazz in parts. Gramentieri said it would be silly for them to try to approximate American rock ’n’ roll, which he described as all edges, while their own music has more curves. On “Outlaw for You,” he shouted out heroes from the Stooges to Johnny Thunders. He even added “I’ll be Beto O’Rourke for you!” in the chorus. This entry was posted in Music, Review. Bookmark the permalink. Both comments and trackbacks are currently closed.